By Evan Ackerman on 07/03/09 • Leave a comment! No flies were harmed in the making of these airplanes. By Andrew Liszewski on 06/25/09 • Leave a comment! Now here’s another clever idea. 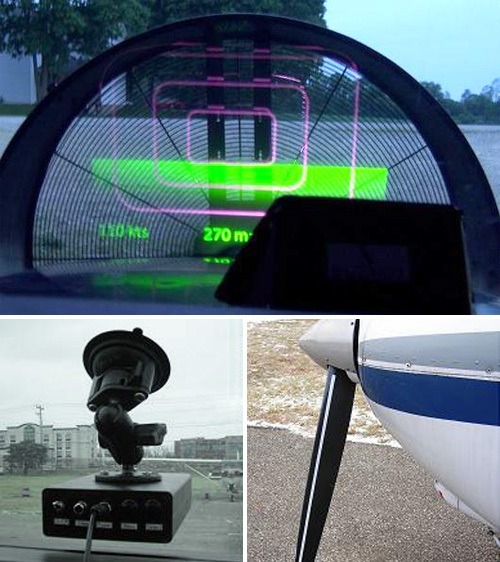 VirtualHUD is an easy to install device that attaches to the windshield of a small plane and creates a virtual heads-up display for the pilot by projecting an image onto the aircraft’s spinning propeller. (A white strip of paint added to the back of the prop increases its visibility.) The VirtualHUD is able to project “all the standard flight instrumentation required for normal VFR and IFR navigation when equipped with or attached to your GPS” or it can be hooked to an external source like an infrared camera allowing the pilot to monitor a video feed while keeping their eyes on the sky. Currently there’s a nighttime-only version of the product called the NightVu which sells for around $7,500, but the new ForwardVu model, which can be used in the day as well, should be available sometime in late July. 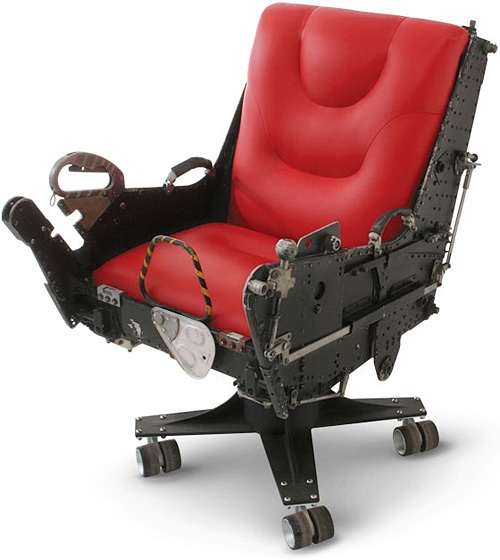 This office chair made from an authentic F-4 Phantom ejection seat is a fantastic way to exit a meeting where things aren’t going the way you’d like. Instead of storming out and slamming the door, you can simply pull the ejection lever and blast your way out. Although… I guess it would work best if the meeting was being held outside, or anywhere without a ceiling. And you’d probably want to wear a parachute just in case. Not to mention there’s a good chance the rockets used to propel the ejection seat upwards have probably been removed. Hmm… Well maybe the idea isn’t as solid as I first thought, but the chair’s still really cool. A couple years ago (before the economy went belly up), we posted an article about custom airliners. 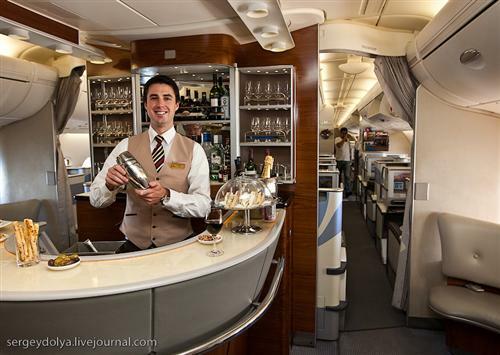 Not just private jets, but giant luxurious monstrosities like personalized Boeing 747-8s. At the top of the heap is of course the Airbus A380, one of which was purchased for nearly half a billion dollars by a Saudi Prince. 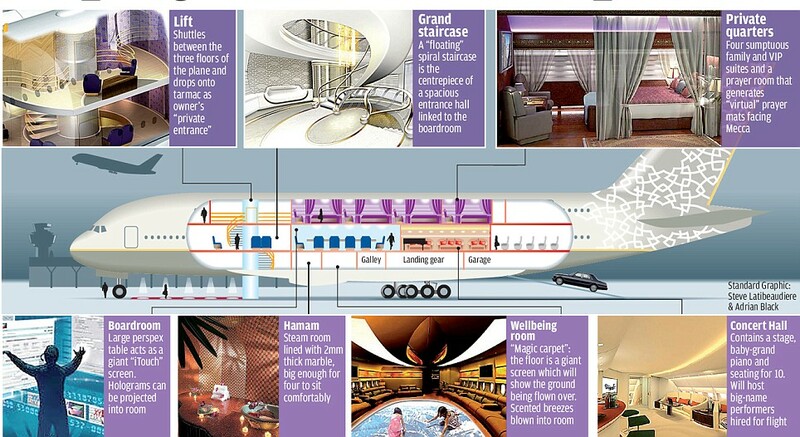 British company Design Q has been put in charge of fitting out the interior, which consists of 3 floors and includes four suites, a marble-lined steam room, a concert hall with a baby grand piano, a room on the belly of the plane with a virtual transparent floor (freaky), a parking garage, and an elevator that drops all the way down to ground level. And there’s more, of course… I’m barely mentioning the holographic projection systems, the giant touchscreens, and the virtual prayer mats that always point toward Mecca. This is all good stuff, don’t get me wrong, but I would personally have preferred a swimming pool, or a petting zoo, or maybe an indoor ski slope. The Martin Jetpack we showed you last week isn’t technically a jetpack, but Jetpack International has the real thing, and they’re confident enough with it to start trying to break airspeed records. This is not especially difficult to do, considering that jetpack airspeed records don’t really exist yet, but when you only have 30 or 40 seconds of fuel, you have to make sure and remember to leave yourself enough time to slow down. Having said that, 30 or 40 seconds worth of fuel is easily enough time to get me to the grocery store and back at 60 mph… I just have to root around under the couch cushions for a quarter million dollars. So yes, it still hasn’t gotten far enough off the ground to show that it’s capable of achieving significant altitude without the assistance of ground effect… My first question would be, how far off the ground would I WANT to get in something like this anyway? But Martin has thoughtfully included an integrated ballistic (i.e. rocket propelled) parachute for the entire unit, which should keep you mostly safe even in a low altitude failure. The Martin Jetpack is capable of 30 minutes of flight at 60 mph and 8,000 feet, which is more than enough for your commute. It doesn’t technically require a pilot’s license, and has just two primary controls: left joystick controls pitch and roll, right joystick controls yaw and throttle. It runs on standard automotive fuel, too. The cost? Only about $100,000, and the first 10 units should be delivered sometime this year. Pedal-powered flight is not for the faint of heart, and that’s probably why the Airbike is designed to work in conjunction with a hang glider. 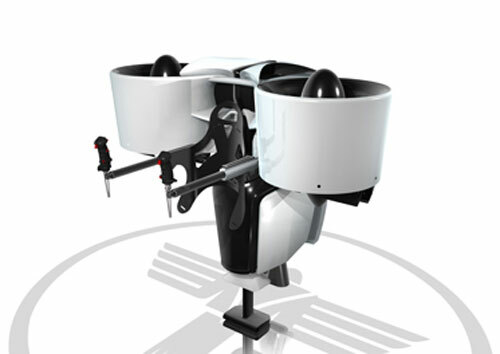 On its own, the Airbike’s propeller doesn’t produce enough thrust to get a hang glider into the air, but once airborne it does provide an extra bit of thrust so that the pilot isn’t completely dependent on thermals for gaining altitude. Unfortunately the Airbike website doesn’t have any pictures of what the pedaling mechanism actually looks like, it’s always hidden inside that bag, but presumably it’s all geared down to provide maximum prop speed with minimal pedaling. 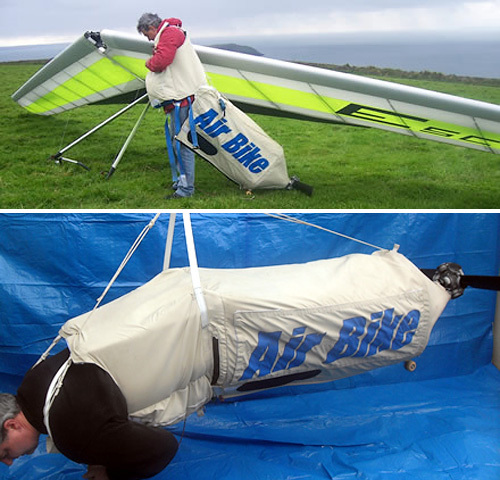 Now anyone who pursues aviation as a pastime knows it’s not a cheap hobby, and the prone version of the Airbike pictured here will set you back just over $2,000, hang glider not included.